YOU ARE BUYING A LIFESTYLE! Looking to sell? As a University of Texas graduate with a BBA degree in marketing and finance I know how to market my listings to reach the area's buyers. 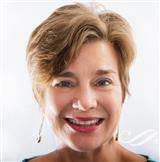 Prior to becoming a Realtor 25 years ago I was a manager with AT&T in sales and marketing. This background has allowed me to consistently be the top selling Realtor in the West Volusia market. Through extensive & far reaching advertising I make sure my listings have MAXIMUM EXPOSURE both through the print and internet media. My print advertising includes all the area's premier publications; Homes & Lands of Orlando and The Real Estate Book. Multiple websites with Premium Placement and a Webmaster driving internet searches to my websites ensures my listings are seen by even the most tech savy buyers. I also make sure my listings have multiple photos and lengthy descriptions with the Enhanced Version of the most popular real estate site in America- www. realtor.com. I have an excellent staff that pays attention to detail & this allows me the ability to focus on the things I do best. SELL PROPERTY! Looking to buy? Moving from Dallas to the Orlando area 28 years ago I fell in love with the combination of city and country feeling found here. Literally water, water everywhere lakes and rivers wind through central Florida. There are many towns all under the Orlando umbrella so finding a home can be a bit confusing-there are even 4 cities that begin with "Winter" -Winter Park, Winter Springs, Winter Haven & Winter Garden and all are in Central Florida. Just give me a call or email so I can help sort out the best area for you geographically. Beautiful neighborhoods abound and offer golf, waterfront, acreage, planned communities & activities. Let someone knowledgeable in the area show you these wonderful communities. What a wonderful place to retire or raise a family-there is something for everyone. Both my children grew up in the West Volusia School System and are excelling academically. My youngest is a senior at USF and active in dance while the oldest working on her masters degree at the University of Delaware and an equestrian jumper. The area offers a wide range of performing arts and sports for the entire family. Don't buy a house-buy a lifestyle! No#1 producer for the West Volusia Board of Realtors 16 out of the last 18 years. 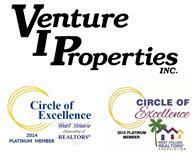 No#1 producer for my broker, Venture I Properties, Inc for 16 years running. Specializing in but not limited to the St Johns River, Lakefront, Acreage, Horse & Specialty properties from North Orlando to Deland. This area includes Longwood, Lake Mary, Sanford, Debary, Enterprise, Orange City, Osteen & Deland-and this is just a partial list! I live in Debary on the St. Johns River and am very familiar with the wonderful waterfront properties for sale in Central Florida. I can be a resource for you on the issues involving dock permitting, wetlands & other environmental concerns. I own horses and am familiar with horse communities, properties, show grounds and riding trails-and there are a lot! Don't just buy a house-buy a lifestyle! Let me show you some wonderful areas!